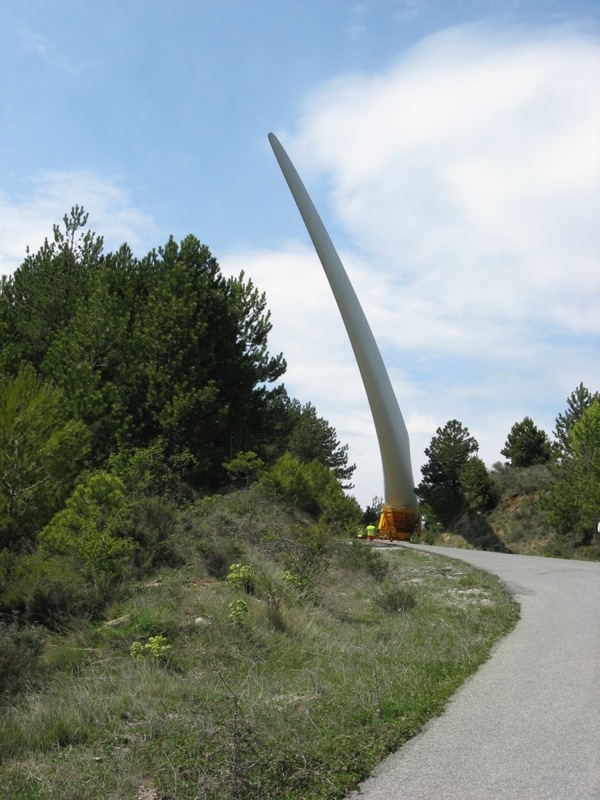 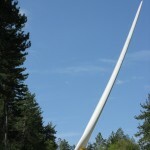 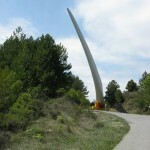 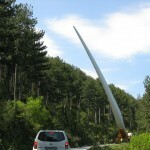 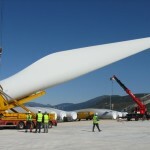 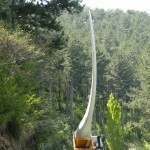 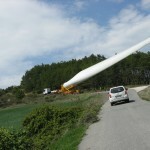 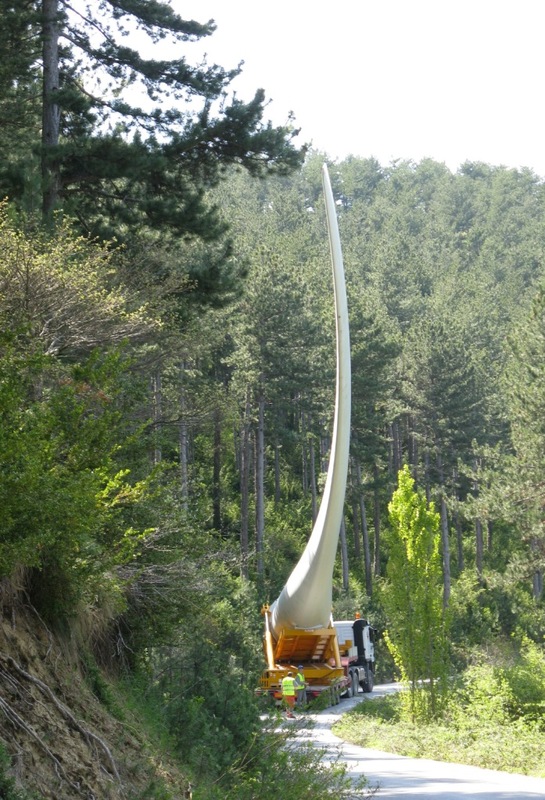 Wind blades are normally carried by ship and truck. 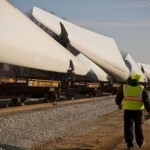 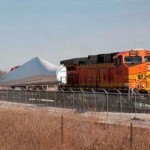 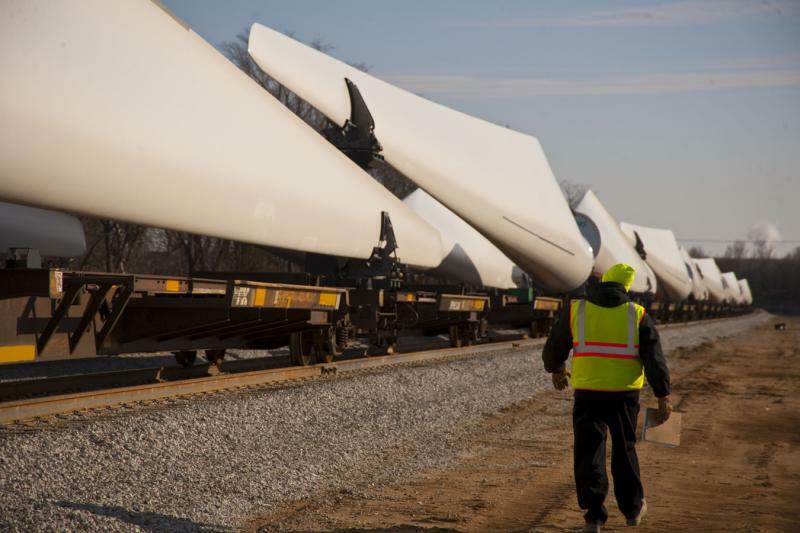 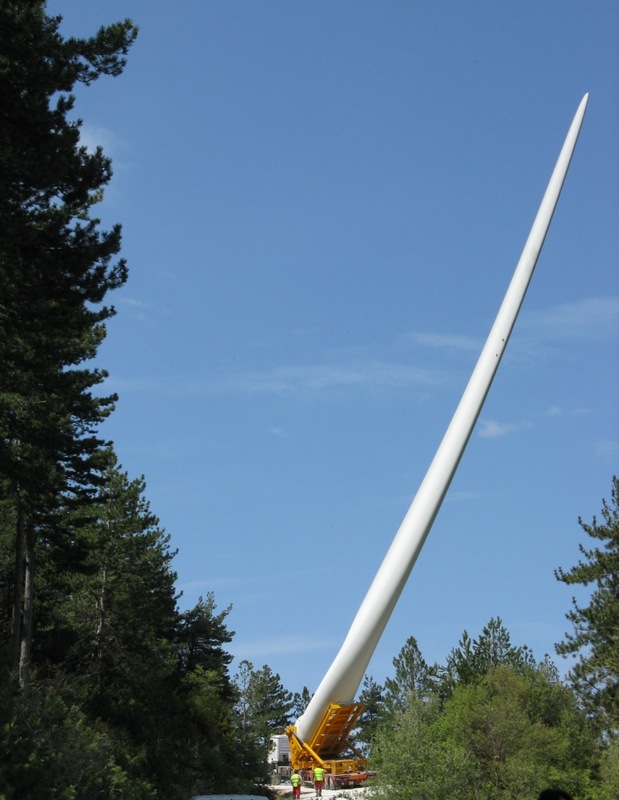 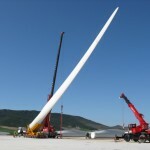 By the way every now and than I see cases of train transportation: for instance Siemens moved 141 set of wind turbine blades (for the amazing total of 423 blades) to Portland General Electric's Biglow Canyon Wind Farm. 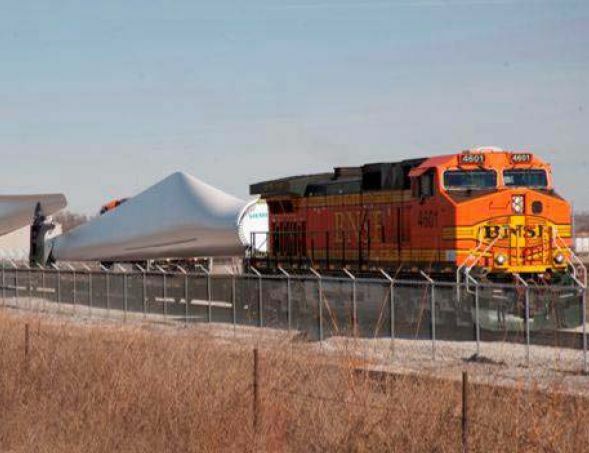 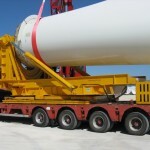 Siemens is also transporting towers and nacelles via rail to various project locations throughout the U.S., so it seems that sometimes this is a reasonable option. 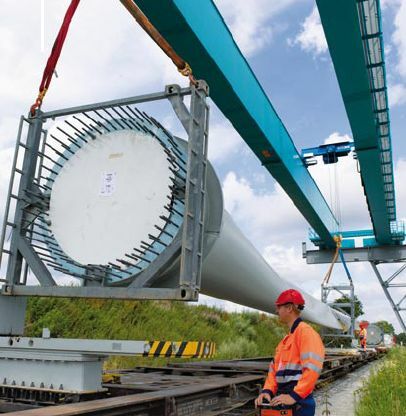 Vestas too is experimenting train transport: in the video embedded you can see how blades are transported from the factory in Germany to the wind farm in Denmark. 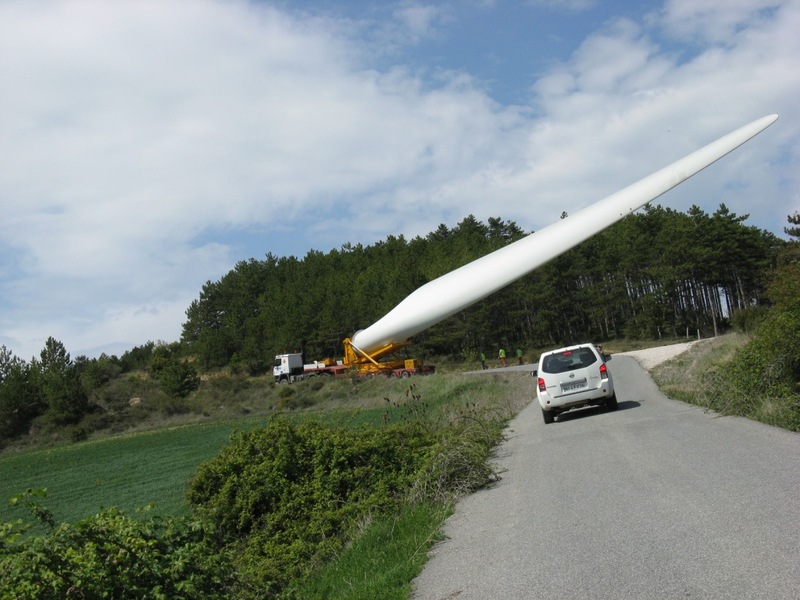 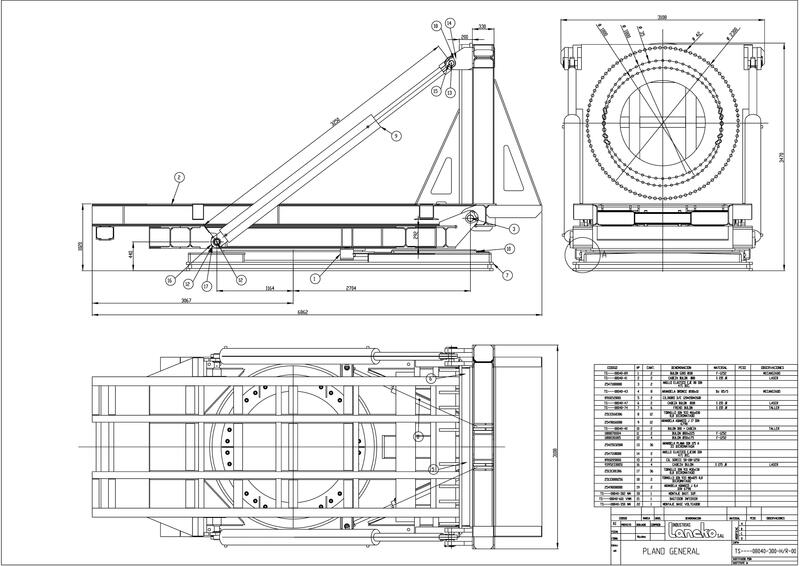 And the list is not ended: Enercon took a Marco Polo grant to move his blades by train. 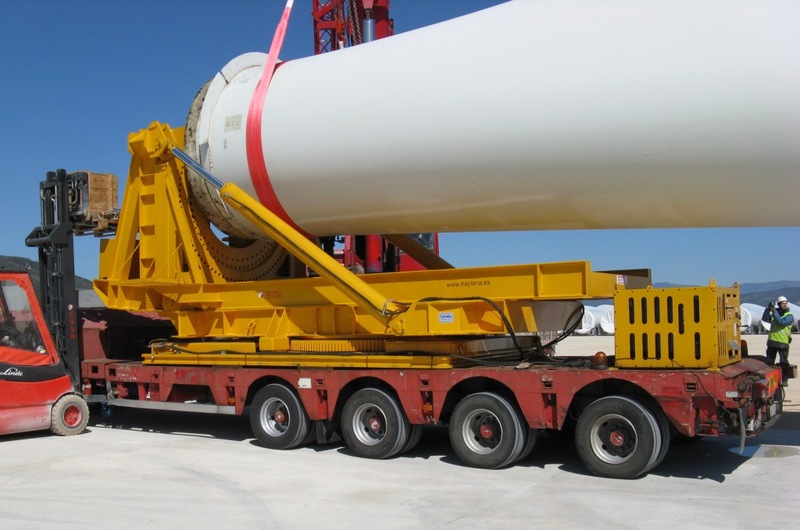 Marco Polo is a UE found for modal-shift or traffic avoidance projects and projects providing supporting services which enable freight to switch from road to other modes efficiently and profitably. 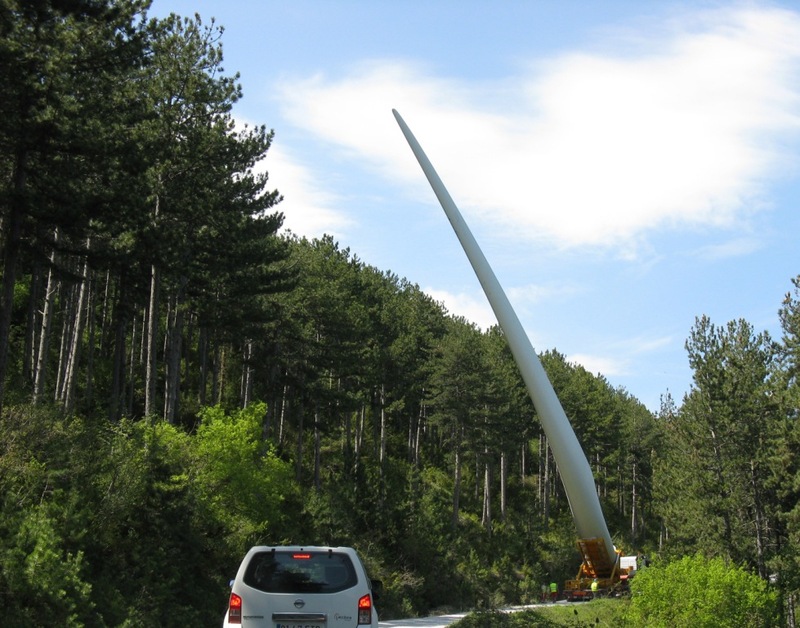 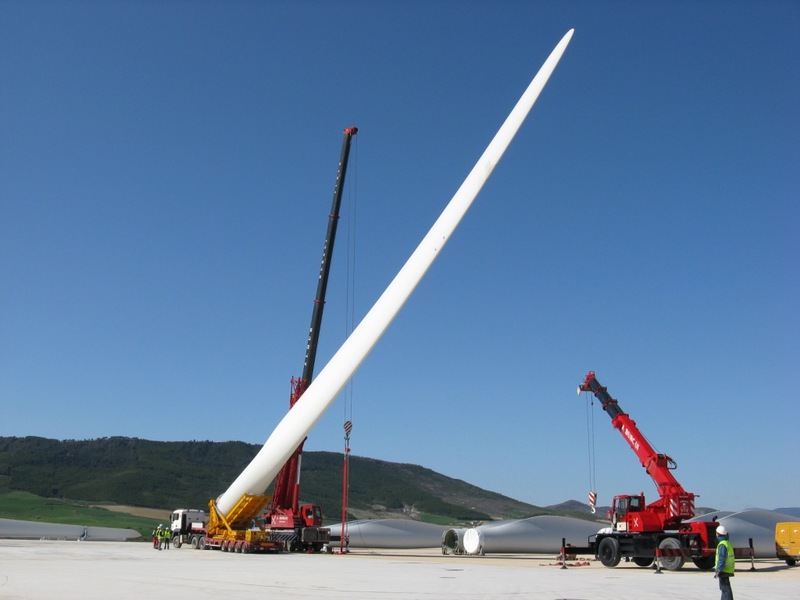 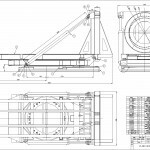 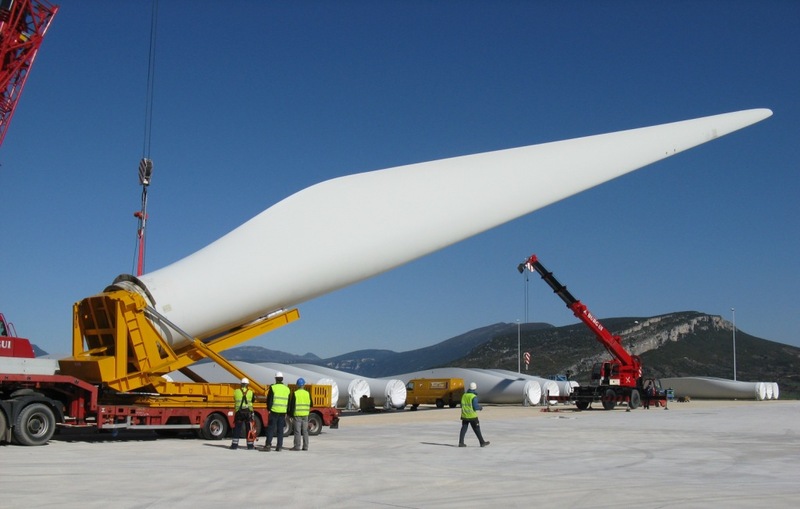 The Grant (€1 268 577) for the ENERCON Tri-Modal project involves using rail and ship to move components and parts from Germany to Viana do Castelo in Portugal, as well as to installation sites throughout Europe.